UF Industrial and Systems Engineering (ISE) had their first career fair on Tuesday, September 26th. The event was organized by the UF ISE Ambassadors and supported by the UF Department of ISE. 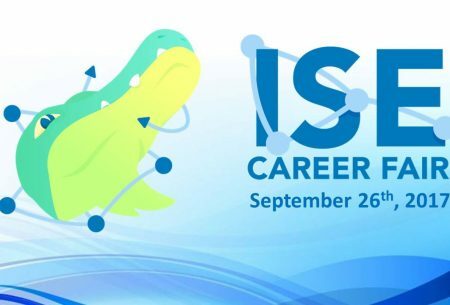 The purpose of the UF ISE Career Fair was to allow both undergraduate and graduate students to network with recruiters in a much more relaxed setting than UF Career Showcase and talk to companies specifically looking to hire ISEs. UF Career Showcase is a two-day event where recruiters come to network with technical and non-technical students, and create internship and career opportunities for them as well. There were nine major companies in attendance; Accenture, Crowley, FedEx, Harris, Nielsen, Northrop Grumman, PepsiCo, Procter & Gamble and Voalté. The UF ISE Career Fair ultimately had 262 students attend, which included a few Mechanical Engineering majors. UF ISE Career Fair Director and UF ISE Ambassador, Summer Provance said, “I’m really pleased by the turn out. There were several people that RSVP’d to the event, but even more showed up than expected.” She also mentioned that there were several other recruiters that expressed intent to participate next year. The UF ISE Ambassadors have already received responses from recruiters, that couldn’t attend this year, but will be participating next year. Until then, the UF ISE Ambassadors will survey student attendees and recruiters to collect feedback to help with the planning and execution of the next UF ISE Career Fair. Click here to see photos of the event.